Did you know that we’re in the fourth industrial revolution? This is a fancy way of saying that digital technology is impacting our daily lives more than ever before. How we connect with others, both professional and personal, has changed from just ten years ago. Social platforms like LinkedIn allow us to network with other professionals and industry experts like never before. So why are we still handing out printed business cards? Our LinkedIn profiles showcase our accomplishments and services much more than a 3.2 x 5 business card. Not only does it allow us to stay connected easier, with a simple like or comment, but more importantly it allows us to remain visible. The more you show up on someone’s feed or interact with their postings, the more they’ll have you in mind when all things legal come up. Whether you’ve just passed the bar and are looking for that dream firm to work for, or you’re an accomplished industry expert, LinkedIn is a beneficial platform for all of those involved in the legal industry. Here’s how to optimize your LinkedIn profile as your legal business card replacement. Profile photos: Have a clean, professional headshot as your profile photo. This probably goes without saying, but avoid selfies or photos with distracting backgrounds. Nothing too fancy or over the top, but you may even want to splurge a few bucks for a professional photographer. Headline: The headline is the area beneath your profile photo and name. The 120-character space is prime real estate because it’s what people will see with every interaction you do. If someone shares your post, your name and headline with show up in their audience’s feed. So make a catchy headline that really pops and gets users to your page. Summary: The summary functions as an executive overview of your experience. Similar to a professional bio, expand on your experience and work ethic in a few paragraphs. Short and sweet. Experience: This section is straightforward and should reflect your resume experience section. Education: Add your school(s) and connect with other alumni and professors. Licenses and certifications: List your various state or local bar-related licenses in this section, including any unique certifications you’ve gained in your career. Volunteer experience: Who doesn’t love volunteers offering their time for the greater good? Listing volunteer experience is a great way to show interests outside of your profession. Skills & Endorsements: This section is less important if you’re already established in your career. It is crucial when applying for jobs through LinkedIn as recruiters are able to see other professionals endorsements of you. Accomplishments: This is a great section to “hype” yourself up a bit. You get to show off what you’ve done including publications, articles, speaking engagements, and awards you’ve won throughout your career. While a personalized message may not be necessary when connecting with family and friends, it can go a long way with someone you’ve just met at a convention or event. It can help you stand out amongst all the other people they network with and leave your interaction on an even more positive note. Find nearby: The “find nearby” tool is great for events and conferences as it allows you to find other professionals at the event. Follow others: If you don’t want to connect with someone, or a company, the option to “follow” someone allows you to see their activity without having to connect. Thoughtfully accept connections: Like all things internet, there are people always trying to sell something. Be sure to be mindful of what kind of connections you want to make. Unfollow/Block users: Just because you connect with someone does not mean you have to see everything they post. Someone’s online persona different than in person? Not really your thing? Feel free to unfollow them - you’ll still be connected, but you won’t have to see anymore of their posts. Likes: Liking posts content is a “low touch” way of using LinkedIn. Like a few posts and watch the reciprocity happen. Comments: Join the conversation! Many posts want to start an open dialogue, and it’s important to engage with other professionals in this way. Posts: Posting engaging and exciting content is vital to maintaining your online presence. Whether you’re posting your content or sharing an interesting article, your posts help brand your image and highlight interests more important to you. Be visual: Images capture the attention of users more than plain text. If you have a great status update, consider accompanying it with a cool photo. Use @Name feature: If you want to mention someone directly, and help direct traffic their way, give them a shoutout! They’ll appreciate the traffic you bring them. This is also useful to use when responding to comments others leave on your post. Careful Cadence: You don’t want to bombard your followers with a million posts and comments each day. The more tactful you are with your post, the more authentic you come across. People will be able to identify that you’re interacting with them because you really want to and aren’t just trying to get recognized by others. Be current: This is the best way to gain more followers and show that you’re knowledgeable of what’s going on in your industry. Soon people will know you’re the one to turn to for the latest opinion. Use #Hashtags: Users search and follow hashtags to find content they’re interested in. Using trending hashtags in your posts increase your visibility. Write articles: Have you ever met a lawyer that didn’t like to write? LinkedIn has a great feature that allows users to be their own author and write articles to publish on their account. Edits to posts/comments: Typed that post a little too fast? No worries, LinkedIn allows you to edit your post’s text. SlideShare: Proud of your latest powerpoint pitch? This built-in feature allows you to share powerpoint presentations. Increase Team Morale: LinkedIn helps you stay connected to those that work at your firm. By simply liking a post, you’re sending a positive message to your colleague, thus, building a sense of team spirit. Insight on LinkedIn Users: In your role as an attorney, you work closely with legal professionals who represent customers and partners. Business Intelligence: LinkedIn has become a primary source for business-related news and information ranging from technology to law. Follow LinkedIn “Influencers:” You can follow leaders in any profession for additional resources or articles to share. Follow companies: LinkedIn allows you to follow companies without having the pressure of making a connection. You’ll get updated on a firm’s latest events or advice from industry experts. Follow #Hashtags: Following hashtags of interests, like #lawfirm or #womeninlaw, allows you to see any user using that hashtag. This allows you to find and make new connections to people and companies. LinkedIn Learning: Take advantage of world-class videos taught by industry experts. Office 365 & LinkedIn Integration: LinkedIn has been integrated with Office 365. If you’re an Office 365 user, you can take advantage of great features like the Profile Card and Resume Assistant. LinkedIn Messaging/Email: LinkedIn makes it extremely easy to interact with those in your network via their messaging system. Find Great Legal Talent: LinkedIn serves as a great resource for legal teams to find legal talent. 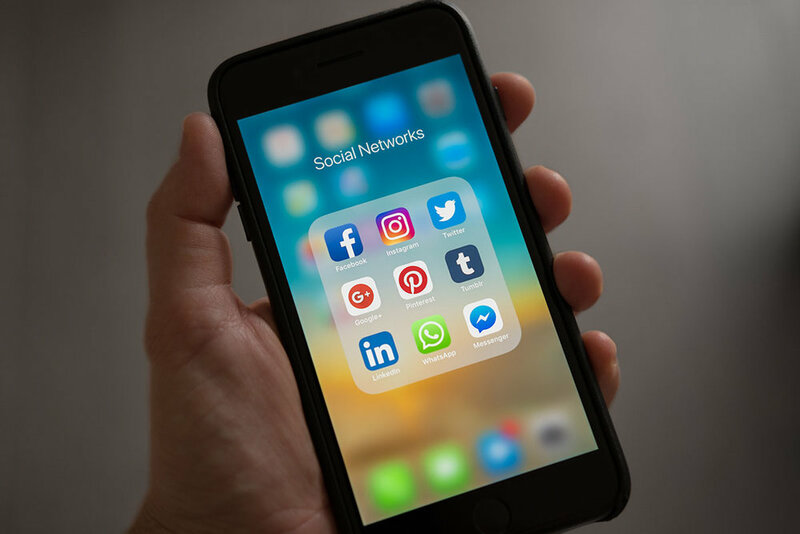 Legal Ethics: When it comes to the legal profession, most associations have legal ethics and guidelines in connection for what their employers should do on social media. Be sure to check in with HR or the next person above you if you plan to share any work information on your personal LinkedIn profile. Like any social media account, it’s important to stay active to stay visible and in the loop. A good rule of thumb is to post or engage in someone else’s post once a day! Watch your network grow! And get marketing tips & resources delivered monthly.